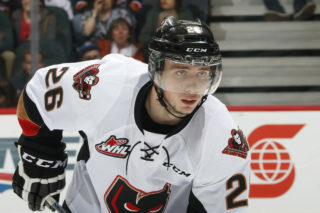 Dom Schmiemann (pronounced SCHMEE-man) scored at 2:10 of overtime to lift the Calgary Hitmen past the Kootenay ICE 5-4 Friday night at the Eddie Mountain Memorial Arena. The victory keeps Calgary’s perfect pre-season intact improving their record to 5-0. 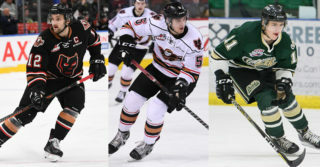 Jake Kryski netted a pair of goals for the Hitmen while Luke Coleman and Layne Toder added singles. Tristen Nielsen and Carson Focht both chipped in a pair of assists. Brad Ginnell, Dallas Hines, Peyton Krebs and Kaeden Taphorn provided the ICE scoring. It was Taphorn’s marker with 1:21 remaining that forced the extra session. 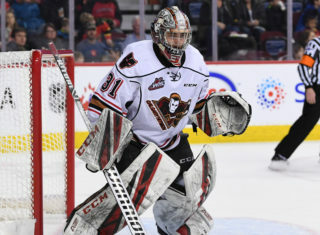 Jack McNaughton and Matthew Armitage split Calgary’s goaltending duties with Armitage making seven saves in just over 30 minutes of work to record the win. Calgary, who led 2-0 after the first period but trailed 3-2 after 40 minutes, outshot Kootenay 29-27. 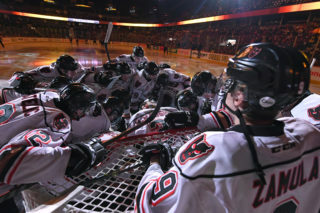 The Hitmen will now prepare to host the ICE in the rematch tomorrow, Saturday, September 15 at the Scotiabank Saddledome. Game time is 7:00 p.m. Fans can take in the action for a special pre-season price of $7.99 for adults and $4.99 for students and kids (plus applicable fees and taxes). Tickets are available at all Ticketmaster locations and the Scotiabank Saddledome box office. There will also be food specials, including the choice of either a hot dog or a slice of pizza and a pop for $5. Calgary’s 68-game regular season schedule starts in Cranbrook against Kootenay on Saturday, September 22. 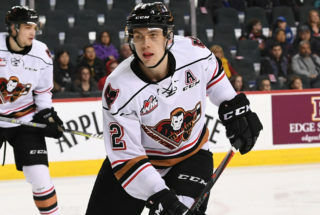 The Hitmen home opening weekend begins Saturday, September 29 at 7:00 p.m. in the Papa John’s Pizza Home Opener against the Edmonton Oil Kings. Calgary returns to Scotiabank Saddledome ice the next day in a Sunday matinee, September 30, against the Red Deer Rebels. It’s the annual Shrine Challenge presented by the Al Azhar Shriners Society. Game time is 4:00 p.m. The 2018-19 Hitmen Hockey Pass is on sale and includes 34 game tickets to be used anytime, in any combination. Pass holders also receive a $50 Scotiabank Saddledome gift card and a complimentary ticket to a select Flames, Roughnecks or Stampeders game. Passes start at less than $7 per ticket for kids and under $15 for adults. Also available is the 10-game Hitmen Flex Pack to be used for any game, in any combination. Students and kids tickets are $10 per game, adults and seniors $20. Applicable fees and taxes apply. Visit HitmenHockey.com to score yours today!